Seen here at Ayer. 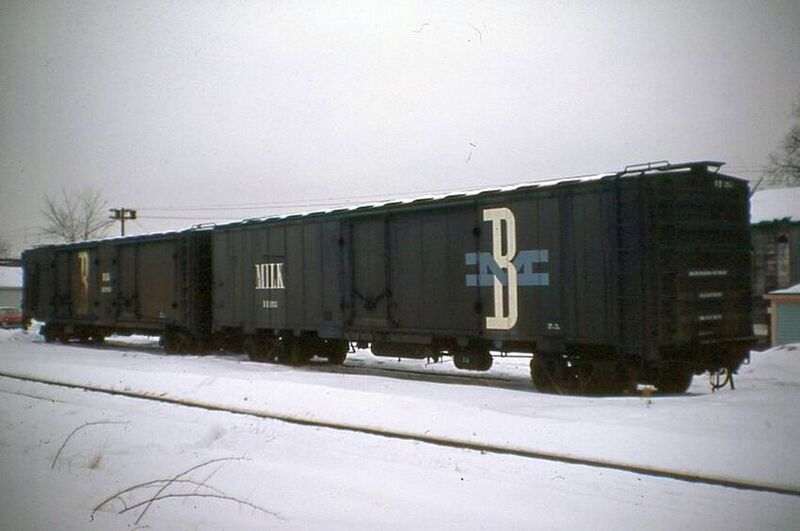 Not long before this picture was taken, milk trains were discontinued making these cars surplus. Photographed by Ron DeFilippo, February, 1968. Added to the photo archive by Ron DeFilippo, April 14, 2019.